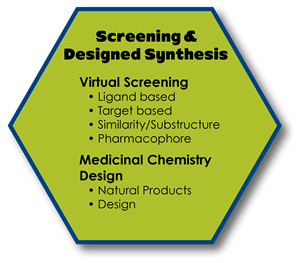 Since 2009, the University of Pittsburgh Chemical Diversity Center (UP-CDC) participates in the NCI's Chemical Biology Consortium (CBC). 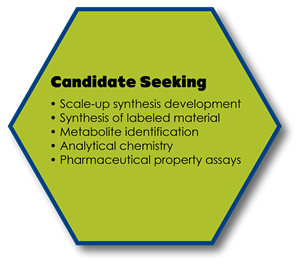 The consortium is the discovery engine for the NCI Experimental Therapeutics (NExT) Program and was created as a flexible, nationwide network of government, industry, and academic scientists working to discover drug candidates for novel and challenging targets for cancer treatment. 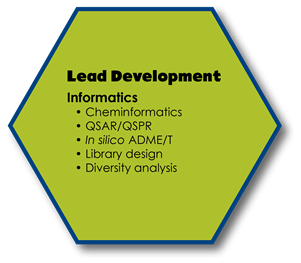 The CBC is centered at the Frederick National Laboratory for Cancer Research, sponsored by the National Cancer Institute, which has been managing the expansion of the CBC to 22 sites around the country with world-class expertise in high-throughput screening, structural biology, medicinal chemistry, compound profiling and other areas of drug development. UPCDC’s membership in the network is via a research subcontract with Leidos Biomedical Research, Inc., prime contractor at the Frederick National Lab. Pittsburgh will be one of seven dedicated centers that will support of drug discovery projects through all stages and provide scientific leadership for the consortium. 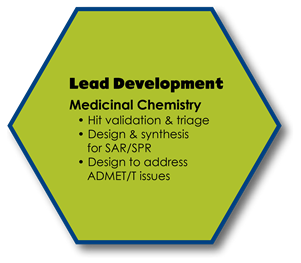 Through the Consortium, chemists, chemical biologists, computational chemists, pharmacologists and molecular oncologists will focus on identifying and developing novel cancer drugs that work on high-risk biological targets often not yet being pursued by the commercial sector. 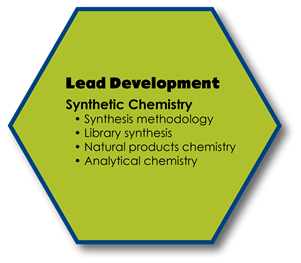 UP-CDC takes advantage of the capabilities and expertise that were established in the University of Pittsburgh Center for Chemical Methodologies and Library Development (UPCMLD). 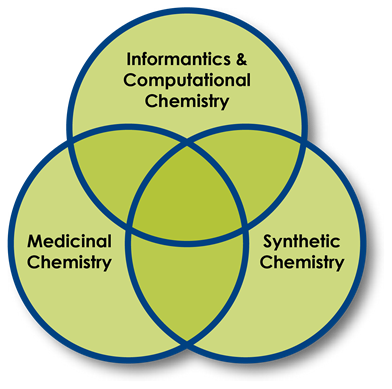 Our 3 Cores - Informatics & Computational Chemistry, Medicinal Chemistry and Synthetic Chemistry - work together to solve problems and rapidly advance drug discovery projects into the clinic.